Bless You! School calendars are driving me nuts! My oldest DD10 has honor choir tryouts today after school. I know I have to pick her up at 4:45 from school, rather than her usual riding the bus home. I also know that she has choir practice on Monday and Wednesday mornings before school, when school photos are and when special school events are, as well as the “events” for her two younger sisters (DD8, DD4). They overload us with info at the first of the school year LOL! All are on my FlyLady calendar! I’m a part time WAHM and full time SAHM, recently single. So, your/my calendar keeps me on pace. I am even able to keep their Dad updated on when all the school and personal events are by updating his Outlook calendar! I take down your calendar, go to my pc and make sure I have every one of the girls’ activities updated on his calendar. So, he knows what is going on with his sweet daughters. Still more routines to develop, but when my DD10 wanted to be sure I knew when to pick her up from school, I could confidently state, “You originally told me 4:15, but now it is 4:45. Is 4:45 the right time?”! Thank you for all you do for you FlyBabies! Get your calendar ordered today! This is going to help you stay on track. 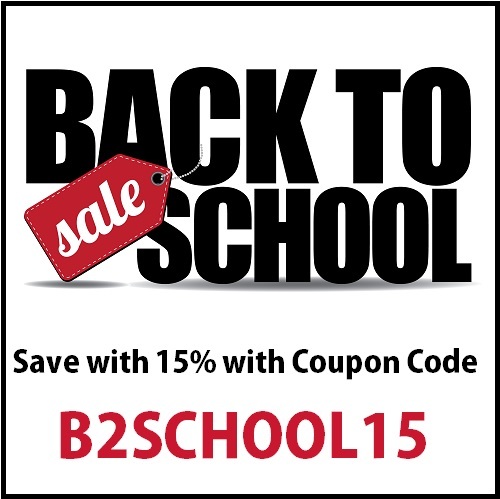 You have no excuse right now with 15% off with our Coupon Code B2School15. This entry was posted in Uncategorized and tagged calendar, flylady, organized, track. Bookmark the permalink.